Yard Minesweeper (YMS 359) was built in New York by the Robert Jacob shipyard and launched in January of 1942. 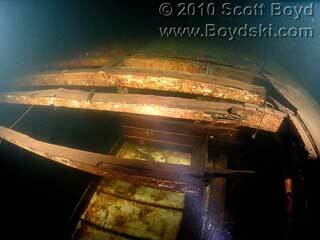 The 136 foot long, wood-hulled vessel served in the Atlantic fleet throughout World War II. This 270 ton vessel has a rather narrow beam of only 24.5 feet and was propelled by a pair of GM diesel engines. After working most of her career sweeping for mines off of the coast of France during the war, the YMS 359 was decommissioned on May 10, 1946. She was then sold at auction in 1948 and eventually, the Minesweeper wound up at the University of Washington where Cliff Gazaway lived on the boat while attempting to refurbish her. A fire of some sort in the boat derailed Cliff's dreams of rebuilding the once mighty ship. And then one night the minesweeper 'disappeared' from the UW docks. 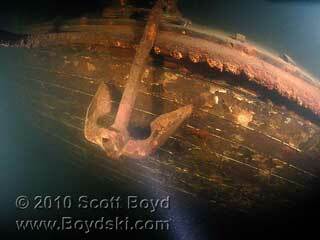 Years later, the wreck of the YMS 359 was discovered by divers in the middle of Lake Washington, where it was scuttled by someone after the fire. The engines have been removed as well as the superstructure. Now resting in 200 feet of dark, cold water, the 359 is remarkably well preserved. 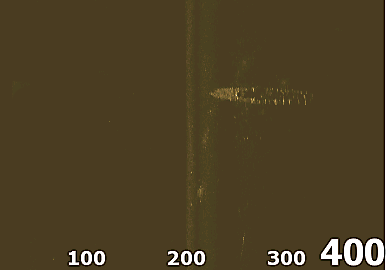 You can still read the large white hull numbers on both either side of the hull. On the very tip of the bow is a very interesting platform and fairlead that was used to operate the acoustic water hammer device to strike the acoustic boxes near the bottom of the hull. There is quite a bit of someone's exploration line that has been left by careless divers around the front of the wreck. 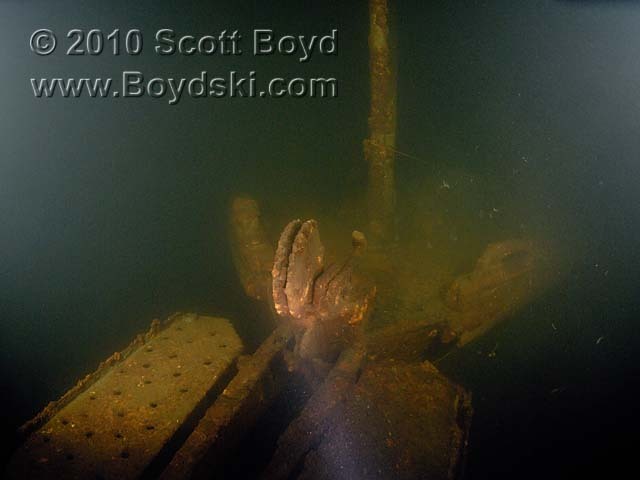 The YMS 359 is an impressive wreck to dive, but is located in the deepest part of the center of Lake Washington (about 1 mile Southwest of the Sand Point boat launch). 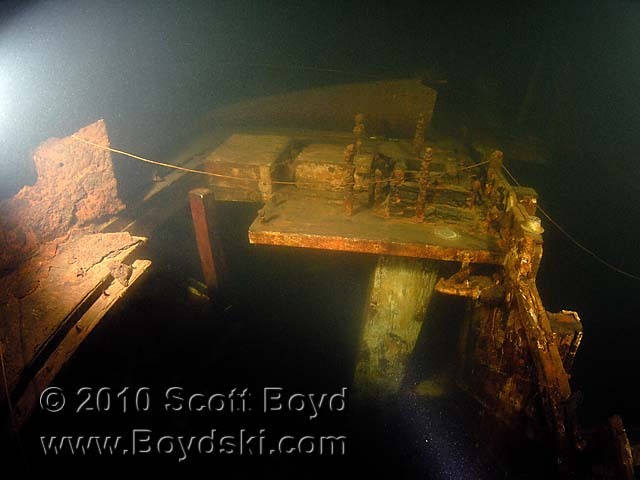 At 200 feet of depth, with very limited visibility and cold 42° water, this is not the best dive for everyone, but this well-preserved bit of minesweeper history is well worth a visit by you avid wreck divers.